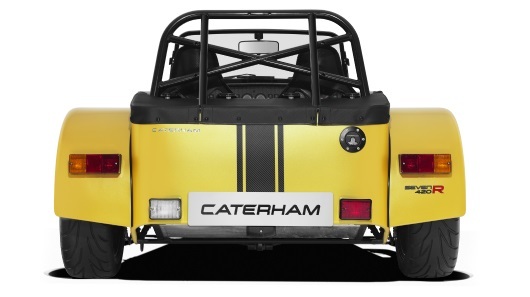 Caterham offer a self-assembly option allowing you to do exactly that. 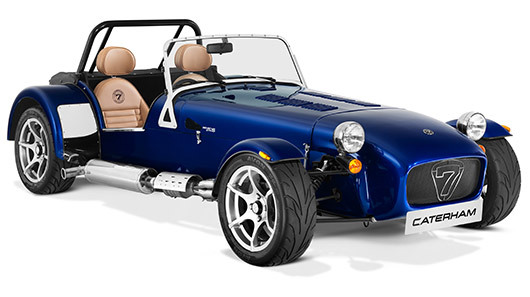 Specify your model and options from the Caterham pricing and specifications list. The chassis, nosecone, front and rear cycle wings begin their journey at the paint shop and arrive at the factory fully painted in your chosen colour. The painted chassis then undergoes preparation on the production line. It is during this time that factory trained technicians fit the core elements of the Seven including; the wiring loom, dashboard, gauges, scuttle panel, fuel tank, fuel lines, brake pipes, brake lines, pedal box and those all-important pedals. On completion, the remainder of the Seven is hand-picked and boxed up ready to depart the factory. Preparation of your garage or workspace can begin. We will then be in touch to book a delivery date at a time to suit you. The chassis, boxed components, assembly guide, engine and gearbox are delivered directly to your garage or workshop. The assembly guide is designed to help you through the various stages of the build. The labeled boxes coincide with each step, enabling you to identify which box you need at any given time. 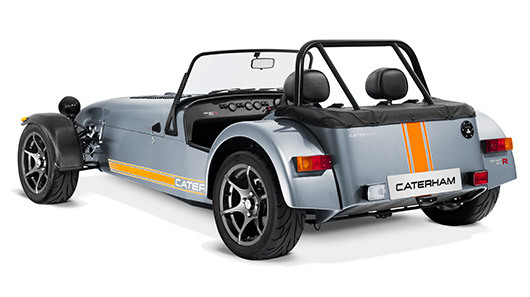 It can take anywhere between 80 – 100 hours to build your own Caterham Seven and you will need specialist equipment to assist you. Draper provides the perfect toolkit solution to help you complete and maintain your new Seven. Remember that our technical team is also available to assist with any questions you might have throughout the build. The final stage in making your Seven road legal is the requirement of an Individual Vehicle Approval (IVA) test. Our Service workshops are on hand to help you with IVA preparation and post-build checks. On passing the IVA test your car is then eligible for registration with the DVLA. 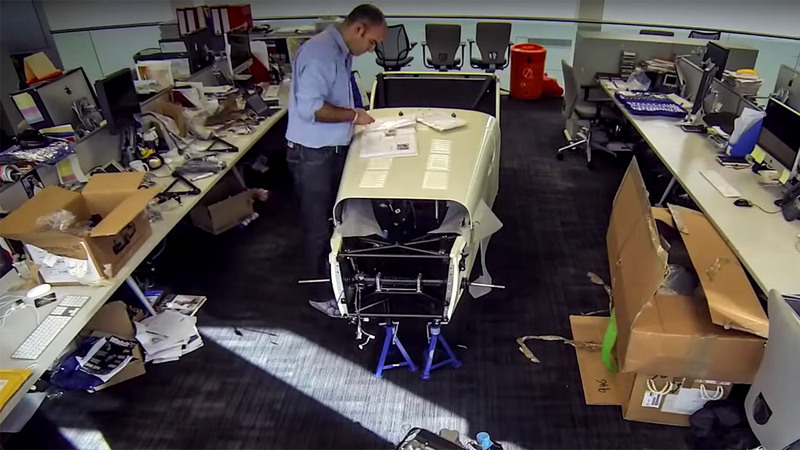 Top Gear magazine took delivery of a Seven and assembled their Caterham in the middle of their London office. Watch this shortened time-lapse of the assembly process. Our crack team of technicians create your Seven lovingly and apply their own sense of pride into every component they attach to the car’s iconic frame. When they’re not bolting our British bundles of fury together, they’re hard at work theorising and ruminating on how they can save even more weight, refine the chassis further and extract every last drop of power from the Seven. That’s why every car that leaves our factory carries with it the name of the technicians who built it.